The Witcher 3: Wild Hunt has been wowing critics and gamers alike. Not only is it enjoying critical success, it’s doing well financially too. The game has sold over 1.3 million units on pre-orders alone, and it has taken the number 1 spot in Japan, among other places. CD Projekt Red is focusing full-time on it for the next two years. As a matter of fact, they have a bunch of free and paid downloadable content in the pipeline. They’re also releasing expansion packs that will add another 20 hours or so gameplay. What that means, however, is that we’re not getting Cyberpunk 2077 for at least a couple more years. This was confirmed by studio CEO Adam Kicinski. 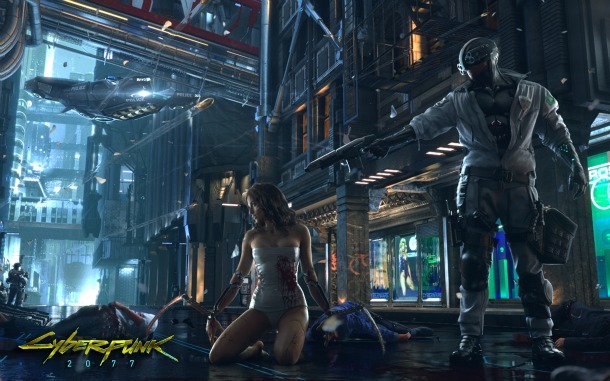 Cyberpunk 2077 was first showed off in 2012 with a promo teaser. No gameplay of any sort was given, but hype surrounding the game was quite high. The game is inspired by the Cyberpunk series of pen and paper RPGs. Considering just how well The Witcher 3 is performing, I don’t think people will be clamoring for Cyberpunk 2077 just yet. I’ve been enjoying the game for a while now, and it’s amazing. I can’t wait to see what CDPR can do with the Cyberpunk universe, but for the time being, I’m satisfied.